The project involved the refurbishment and extension of an existing Victorian Grade II listed school building, which was designed by E R Robson circa 1876 as part of a series of new Board schools. The works included the introduction of a new internal lift and stair/entrance lobby area, infill of existing staircases to provide additional floor area, and a new external steel framed escape stair enclosure. A new 2 storey extension building, providing additional classroom space, was constructed in addition to a secondary single storey extension which provided a new canteen area. 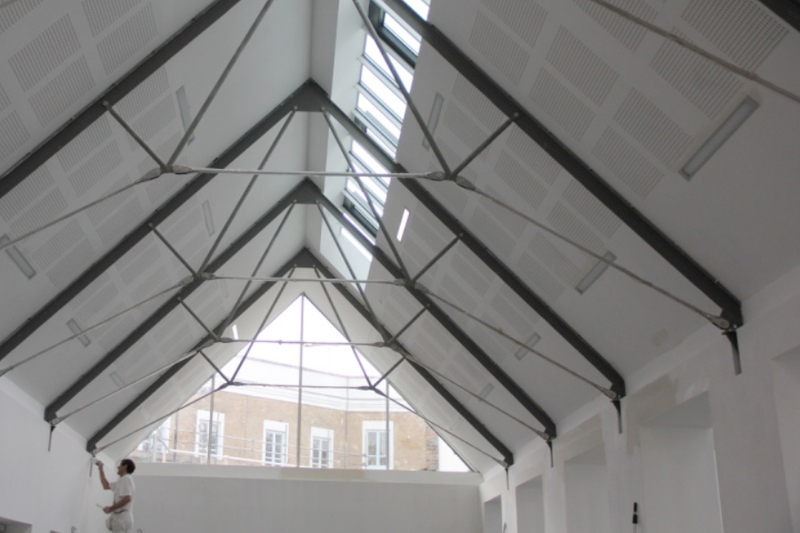 Fairhurst provided structural engineering design services for the new extension buildings and assessed the structural implications of the builders work associated with the proposed refurbishment works. This included a detailed intrusive survey of the existing building to establish the structural framing and existing construction details. The survey exercise helped inform the proposed architectural layouts and also identified defects in the existing structure requiring remedial works. Fairhurst also developed foundation solutions for the building extensions and designed the associated below ground foul and surface water drainage systems, including below ground attenuation requirements. Throughout the project Fairhurst worked closely with both the Architect and Services Engineer to ensure that the design requirements of all disciplines were fully integrated.